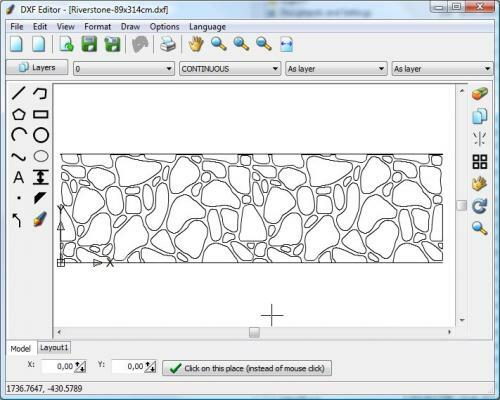 With this CAD application you edit or create drawings in the dxf file format. 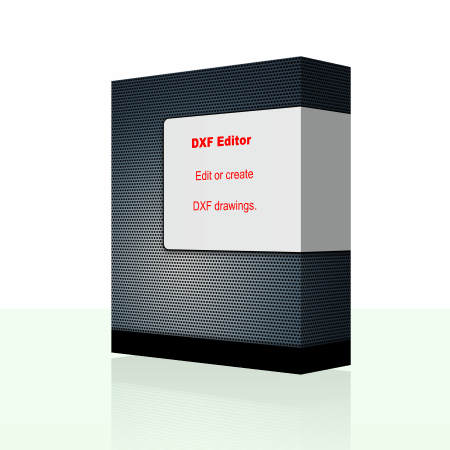 You can open, view and edit existing dxf files loss-free. Of course you can also create completely new drawings from the scratch. 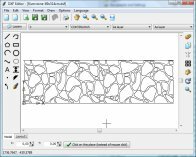 No property of the dxf file will be lost or destroyed, because this program is based on the dxf file format and does not make a dxf import and export into an internal format. You can add lines, construction lines, rays, polylines, rectangles, polygons, arcs, circles, B-Spline curves, ellipses, dimension, text, points, solids and arrows. A freehand drawing tool is also available. It is possible to delete, copy, move, rotate and scale objects. You can assign a layer, a color, a line style and a line width to the objects. Line styles like dotted or dashed can be added to the file if not already existent. With the command File/Print you can print or plot the dxf file. Order the full version for only $39.99 US dollars.